In order for you and your family to enjoy your home to the utmost, you must have a fully-functional, efficient, and reliable air conditioner. The best way to ensure that your HVAC system has all of these attributes is to hire a professionally licensed New Jersey air conditioning contractor for all your needs. 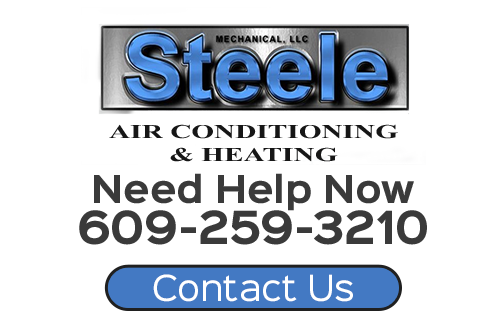 In New Jersey, the most highly skilled and experience HVAC technicians are at Steele Mechanical, LLC Air Conditioning and Heating. Our professionals can handle the most difficult projects, including helping you with your entire air conditioning replacement effort. At some point in time, every air conditioner needs to be replaced. When that time comes for you, you can rely on our team for assistance. In order to help you with this effort, our AC experts have provided the following need to know information for you. Call our air conditioning company today and we can answer any questions that you may have and can schedule your appointment today. Perhaps the most difficult consideration about an air conditioning replacement in New Jersey is simply deciding when you need a new air conditioner. The first place to start is with the age of your current system. If your air conditioner is over a decade old and in need of repairs, you should give serious thought to installing a new AC unit. According to energy experts, replacing a ten year old air conditioner with a new system can reduce cooling bills by anywhere between 20% and 40%. Our professionals can provide you with the advice and information that you need in order to maximize the benefits of your effort. If your air conditioner is older, is operating inefficiently, or is in need of frequent repairs, call our New Jersey air conditioning experts. We can troubleshoot your system and inform you as to whether or not it will be more beneficial to conduct repairs or a replacement. 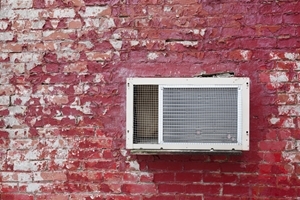 If you decide to replace your air conditioner, you will need to select a new system. Perhaps the most important selection criteria is the size of your prospective air conditioner. If you choose an air conditioner that is too small, it will not be able to provide for your comfort needs. If you choose an air conditioner that is too large, your home will be cooled too quickly before humidity levels can be optimized. Our New Jersey air conditioning experts can help you select the best possible system for your home. We will inspect your property and ask you about your comfort goals. With this information, we can pick the air conditioner that will provide you with comfort in the most efficient and effective fashion for years to come. If you need to replace an air conditioning unit in New Jersey, then please call 609-259-3210 or complete our online request form.